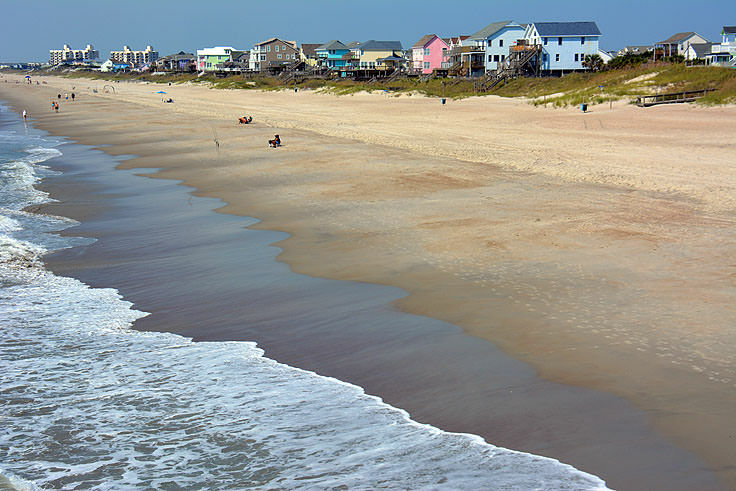 The Bogue Island Fishing Pier is a legendary landmark for long time Emerald Isle vacationers. Built in the late 1950s, and operated by the same family for well over 40 years, the fishing pier is a paradise for anglers who want to take advantage of the fantastic fishing conditions that have lured in fishermen to this small coastal town for decades. 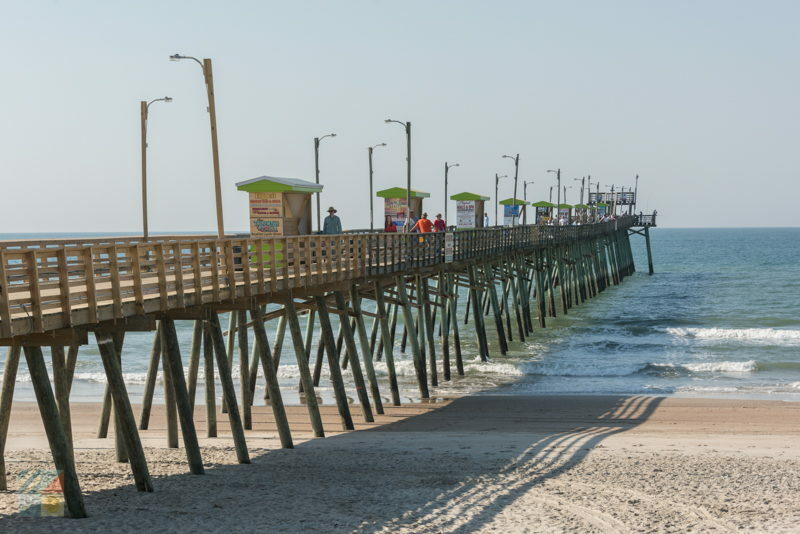 The fishing pier and the town of Emerald Isle itself have a long history that seemingly goes hand in hand. Shortly after the town was incorporated in 1957, a decision was made to build the Bogue Inlet Fishing Pier to draw more vacationers from Atlantic Beach and the eastern portions of the Bogue Banks, and from the time it was constructed, the pier was a grand success. Tent campgrounds and mobile home parks popped up along the pier's borders shortly after opening to accommodate the thousands of anglers who flocked to the region for a rustic but enjoyable vacation of unobstructed, fantastic fishing. The pier was eventually sold to the Stanleys, North Carolina residents from the Burlington-Graham area, and the pier house was expanded to accommodate more and more patrons. 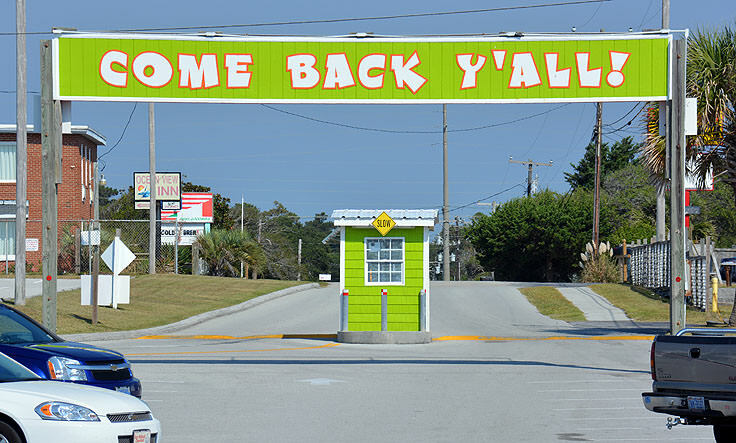 While the pier has had its brush with hurricanes over the decades, particularly Diane in 1984 and Fran in 1997, (both of which took out several hundred feet of the pier along with the crashing waves), the pier has remained open every year throughout the decades, and is still operated by the Stanleys and endorsed by the Town of Emerald Isle as one of the highlights of the Crystal Coast fishing scene. What an angler can expect to catch from the Bogue Island Fishing Pier is completely dependent on the time of year, as each season churns up a variety of saltwater species that are tasty and brag-worthy catches. In the spring and summer months, anglers can be on the lookout for speckled trout, sheepshead, sea mullets, pompano, cobia, and especially king mackerels, one of the most regionally popular and renowned catches. As the temperatures slightly cool, many of these species are still available in addition to croaker, gray trout, and the red, black and puppy drums, which make frequent appearances in the spring and fall seasons. 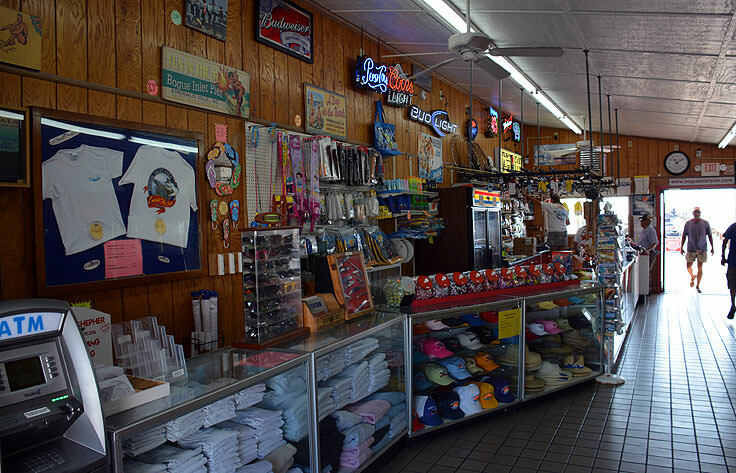 The pier house is home to an extensive bait and tackle store, with everything an angler could need for a full day and night on the pier, including drinks, snacks, beach gear and restrooms, while a neighboring old arcade building is home to an art gallery, showcasing the local prints and photography of Emerald Isle local Brad Stryon. There's also an extensive parking lot on the premises for beach-goers, with free parking Monday through Friday, and $10 parking on the weekends. 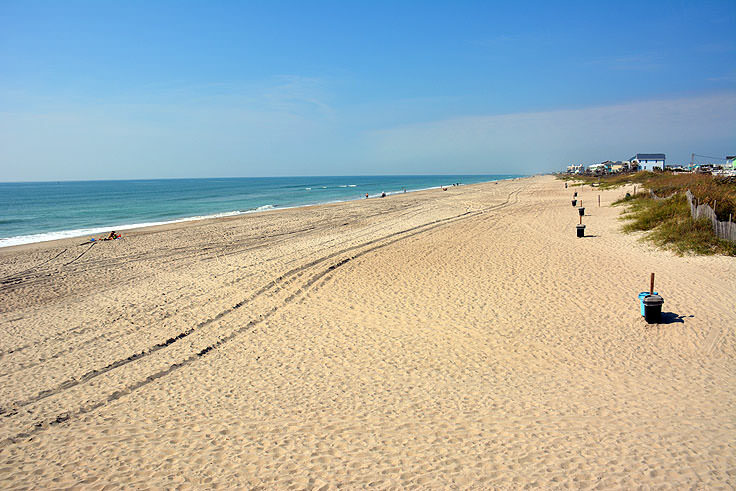 Seasonal parking passes can also be purchased for frequent Emerald Isle Beach Bums. 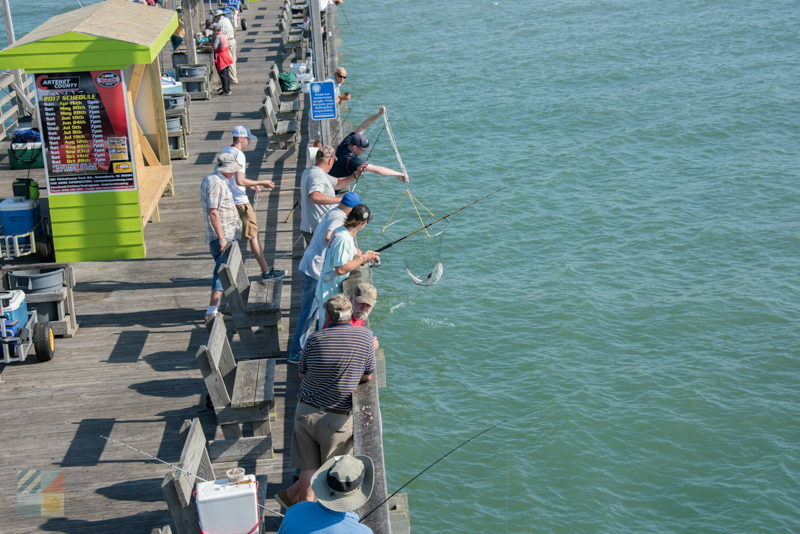 The cost to access the pier varies by both the type of fishing and the length of time. Day fishing passes, which cover a 24- 30 hour period, run around $10 for bottom fishing and $20 for king fishing, while 3-day passes or even season passes are also available at a reduced overall rate. Rods and reels can also be purchased for the day, and tackle and bait is also sold within the pier house's store. The pier is open from March until late November or early December, from dawn until the wee hours of the night. 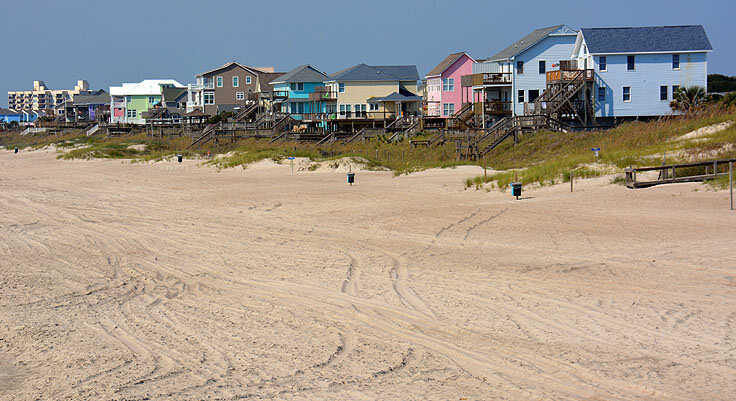 In addition, the pier is also the home to a number of local events, including the annual 4th of July Fireworks display, which is launched directly from the end of the Bogue Island Fishing Pier, and several annual fishing tournaments including the 2013 BIP King Tournament and the 2013 Seafood Festival Family Fishing Tournament. This latter tournament, held in conjunction with the annual seafood festival, is an especially popular fishing event that is open and enthusiastically enjoyed by anglers of all ages. 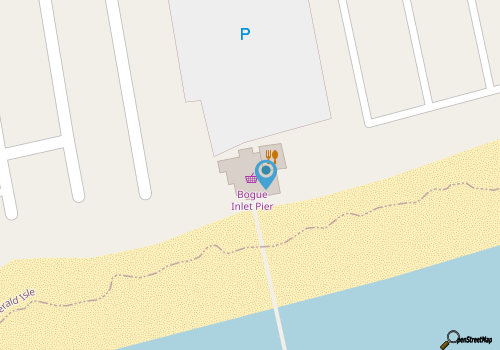 Upcoming events can be found at the Bogue Island Fishing Pier's calendar athttp://www.bogueinletpier.com/eventscalendar.htm, for both the pier and the local beachside community. The pier is also planning an incredible expansion in 2014 or 2015 to include a restaurant within the facilities. 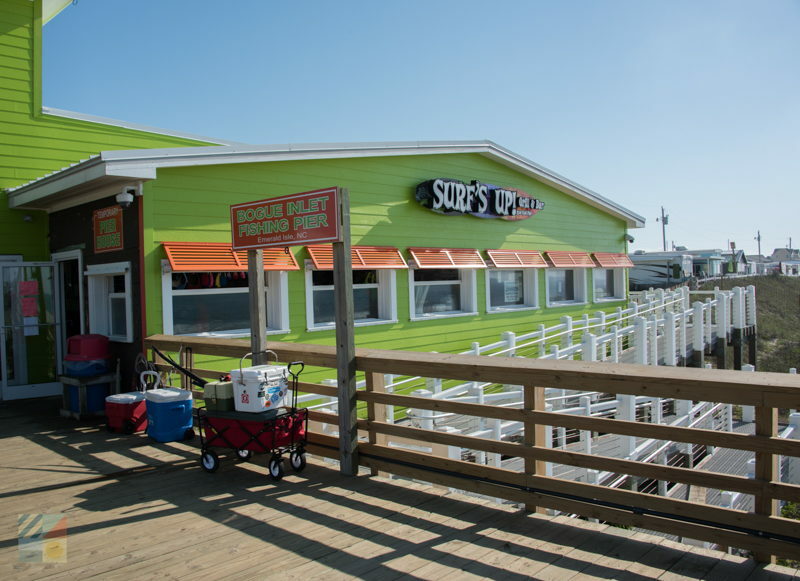 This future "Ocean Air Grill and Bar' will offer a whole new reason for Emerald Isle vacationers to visit the pier, as it will serve up countless fresh catches while providing unparalleled views of the wide open Atlantic Ocean beaches. 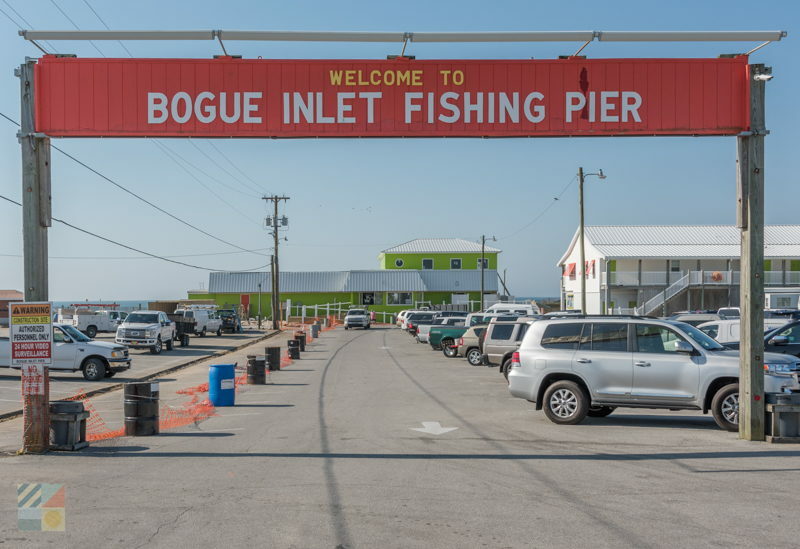 With a long history and existence that's only a year or two shy of the town of Emerald Isle itself, and incredible annual catches that keep visiting anglers coming back for more, Bogue Island Fishing Pier is clearly a local Crystal Coast fishing institution. 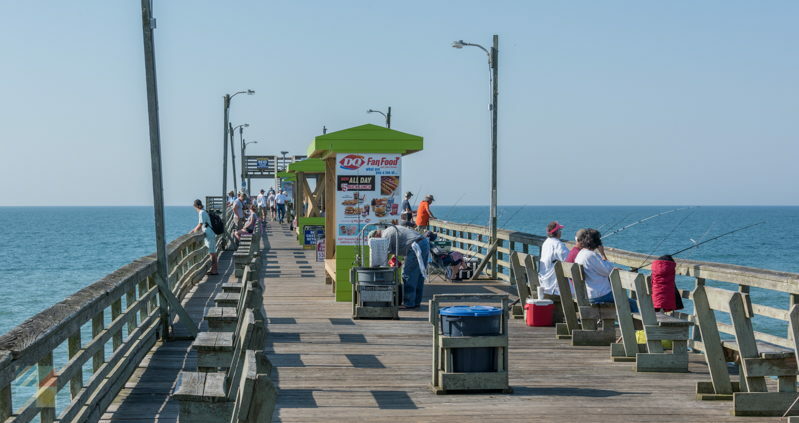 Well known among Bogue Banks fishing circles as one of the best places to drop a line and see what bites, the Bogue Island Fishing Pier is a family-friendly destination that is sure to garner some great fish stories to take back home.